When The Football League needed a new sponsor for their cup competition, the League Cup, they spoke to us. The aim was to speak to one hundred of the largest global brands and show them the passion, history and global reach of the League Cup. A book was designed which would show the emotion of the competition, not boring stats but what how football really engages people across the world. To reflect the high-quality standing of the competition the book used high-end print techniques and stocks. Silver board, case-bound cover, hard case, silver special inks and a personalised first page gave the book a feeling of real quality. The first page was specifically printed for each recipient so each of the books are entirely unique. Lucas Orrock is the British Go-Karting champion and wanted to boost the profile of his sport. Go-Karting has an image problem in that it can be seen as being a little lightweight when compared to other motorsports. We wanted to show the quality of the sport and dedication of Lucas, and so creating a high-quality book to be sent to leading brands, highlighting both the journey of Lucas himself to becoming champion, and the sport itself. 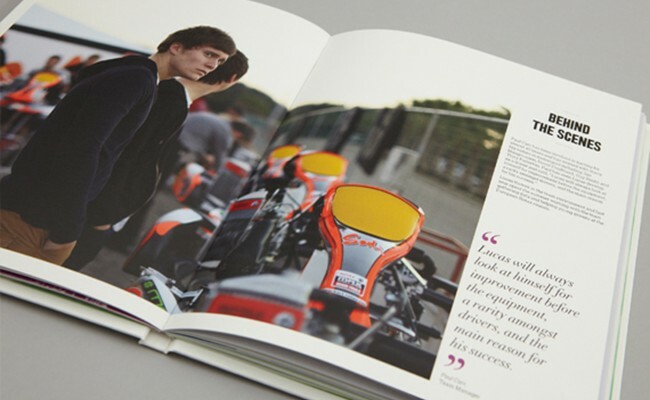 The book leads on imagery of Lucas himself, both in karting action and in time out. The book is created with french-folded pages and imagery is printed on the inside, sealed pages and a hard cover creating the feel of quality desired. Working alongside the museum designers Mather & Co, we designed the graphic elements for Chelsea FC’s new museum at the Stamford Bridge. The graphic approach was designed to engage all levels of support, from young children to elderly fans, from tourist visitors to millionaire investors. 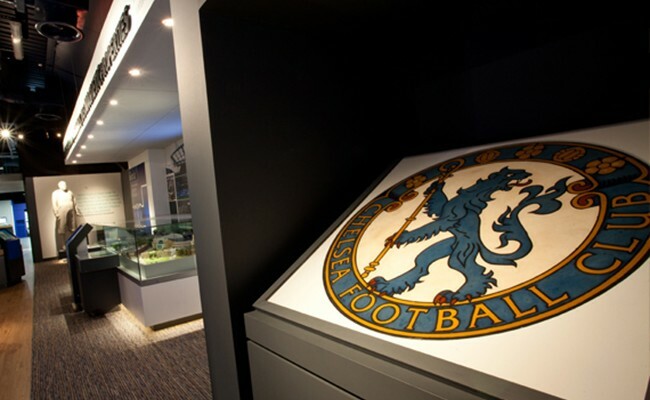 The museum uses imagery from throughout Chelsea FC’s rich history, with a colour palette for each area of the museum taken from a kit from a specific era of Chelsea history. 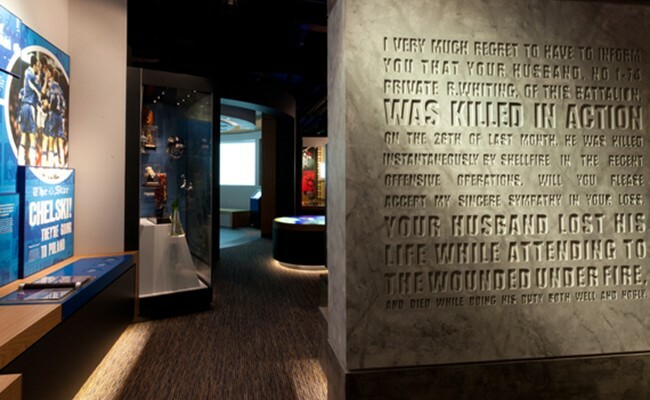 The museum is given a continual thread through the use of a white line, taken from football pitch markings, which runs from the entrance to the exit of the museum, crossing over graphics and showcases. 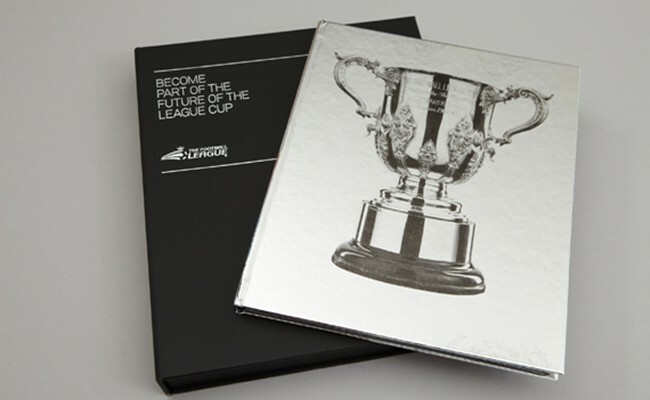 The design of the 2009/2010 Annual Review for The Football League had to reflect the League’s personality and also be less corporate than previous years. The Annual Review uses a non-traditional size in to move away from a corporate feel. 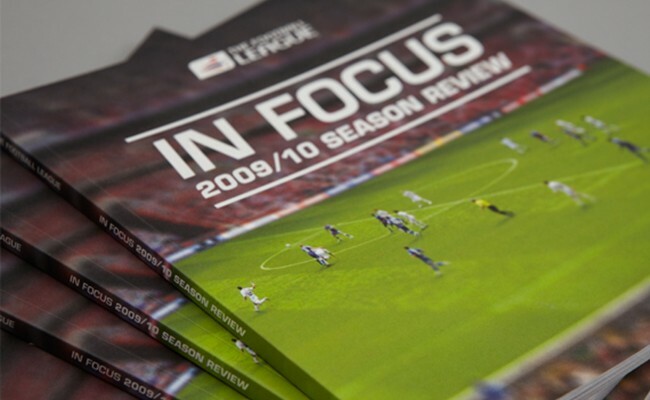 It was titled ‘In Focus’ highlighting the in-depth, detailed look at the season gone whilst tilt-shift imagery and info graphics were used to emphasise the detail theme. The info-graphics were designed to pull out facts which real football fans might find interesting, facts that are detailed, beyond simply league tables. Two fluorescent inks were used to highlight the info-graphics, allowing them to really jump off the page. A new music label was set up to bring together the worlds of art and music. 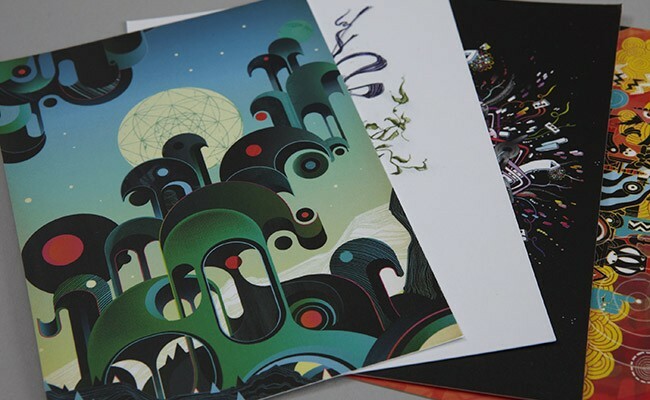 Each release saw a selection of music on a theme which was then visualised by a leading artist or illustrator. The artwork produced was available as an art print as well as supporting and reflecting the music. Is the artwork supporting the music, or is the music supporting the artwork? 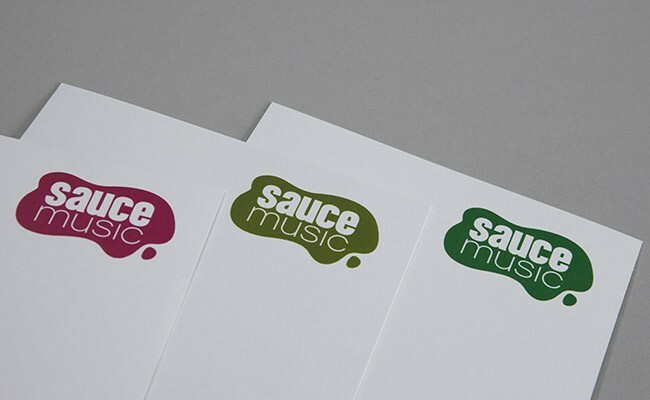 Sauce Music discovers and supports great artists, whether that’s musical or visual… and we supported Sauce Music in shaping their strategic approach and designing their visual style.